I have been working with and developing basketball players for over 30 years and my philosophy is simple. 1. 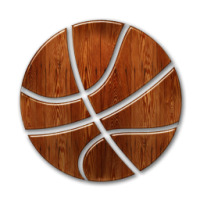 Make sure all players understand, learn, develop, and perfect the fundamentals and basic skills of basketball. ITS ALL ABOUT THE BASICS FIRST!!!! 2. Build upon those fundamentals that will allow players to improve on the court and perform specific skills at a higher level. ITS ALL ABOUT GETTING BETTER!!! 3. Develop players in a way that instills sound work habits, accountability, discipline, hard work, respect, communication, competitiveness, toughness, motivation and dedication. ITS ALL ABOUT THE LOVE FOR THE GAME!!! At ProShot East we do things a little different. With the HS season beign extremely long and then AAU seems to go on forever, todays players are in the gym "ALOT". I love playing and training players on "OUTDOOR COURTS", that is why all my player development takes place at local outdoor courts. I have numerous outdoor courts throughout the area that I use and a few specific ones that I call HOME. I like to keep sessions at about 2 hours and have players attend 2 sessions per skill set. Show them a variety of ways to develop each skill set. Let them work on those drills for each skill set on their own for a month or so, re-evaluate and move on to more advanced development drills. Players need to learn to work on drills and skill sets by themselves or they wont get much better. 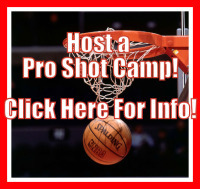 At ProShot East we show players the best drills to work on for player development and build upon it. "WE TURN WEAKNESSES INTO STRENGTHS AND STRENGTHS INTO WEAPONS"
Rates range from $25.00 to $50.00 and hour depending on a few factors! !